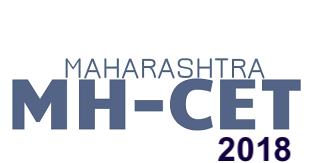 We take cognizance of the Commissioner & Competent Authority, State Common Entrance Test Cell, Maharastra Released Annual Calendar in respect of conducting the Common Entrance Tests 2018 in Computer Based Online Test / Optical Mark-up Recognition Based Written Examination and Field Test during the Year 2018 as per the Dates mentioned in the Tabular Format in the Later Part. The Candidates Eligible for Admission into the Under Graduate / Post Graduate / Under Graduate – Post Graduate Integrated Courses shall be able to Apply Online for the Common Entrance Test for Admission into the Course. The Candidates would be able to Apply Online followed by the Official Notifications only ensuring that the Eligibility Criteria / Riders are met with by them.